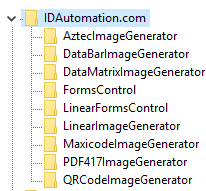 When attempting to open the Barcode Image Generator application, the application does not appear on the screen, or the application may only reside in the taskbar and can not be maximized. This problem occurs when the registry entries for the software have been corrupted. 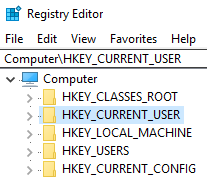 It may also occur when the active logged in user lacks the access rights to write to the system registry in HKEY_CURRENT_USER. Windows 7 and prior: Click the Start Button, then Click Run and type regedit in the box and click ok.
Windows 8 and forward: Right Click on the Start Button and Select Run or Click on Cortana and type in regedit.